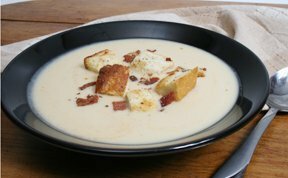 A warm bowl of this great tasting potato soup with crunchy bacon croutons will bring a heart-warming feeling to you and your family on these cool fall days. You can take comfort in knowing you are serving a meal that will be welcomed and appreciated by all. See how easy it is to make your own fresh homemade apple pie. 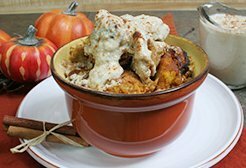 A perfect way to use some of the delicious seasonal apples.